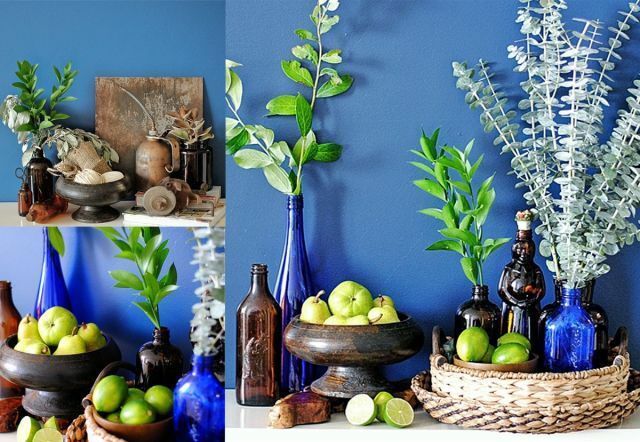 The blue I used on this wall is from Behr at HomeDepot, Twilight Chimes. Behind every color, there is a sense and perception of what it means. Not always an specific hue might produce the same emotion to everyone, but there are some basic understandings to the general masses. 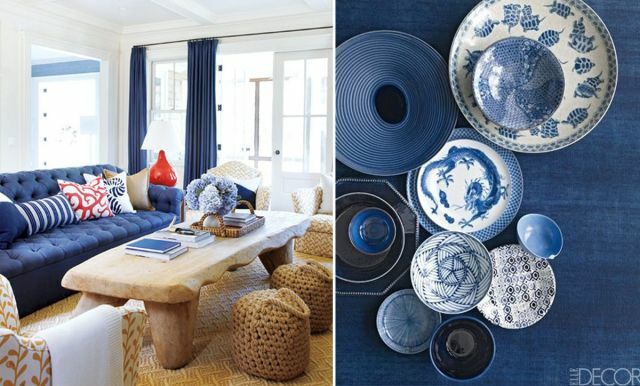 In case of the indigo blue, it’s a color that stimulates the right side of the brain, the creative activity. Because it was largely used by the royalty, this blue is related to elegant interiors and sometimes even dramatic. The intensity of the emotions this color could create will greatly depend on the areas used as well as the materials. Today I’m sharing some interesting ways to incorporate this color in your home; either on the walls, like I did on mine (photo above), or accessorizing. On the living room at the left (Photo: Veranda), blue has been used on the walls as well as in the sofa. Wood accessories and exposed concrete beams, help to keep the color in the area balanced. An elegant tufted headboard (Photo: Casa de Valencia) and some abstract paintings on the walls (Photo: Michael Graydon), make an excellent use of the indigo. 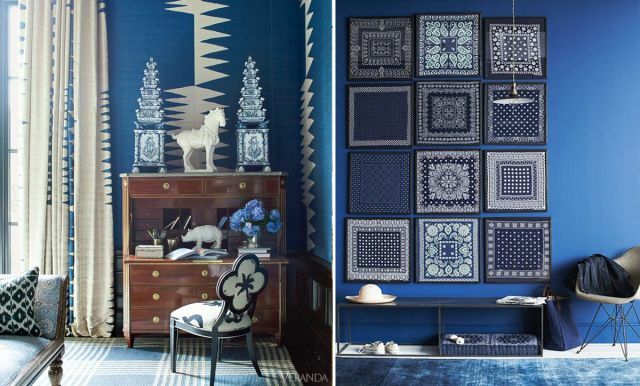 An intricate design, similar to those found on native American pottery, is an excellent way to make a focal point on this blue wall (Photo: Veranda). A display of beautiful handkerchiefs, when arranged like on the photo at the right, can look like a work of art (Photo: Snippets of Design). 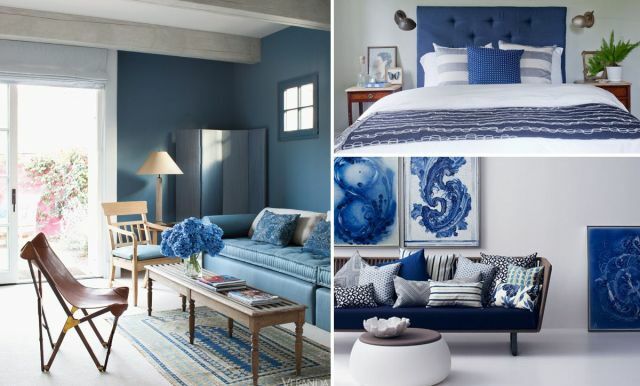 I love the indigo blue, it would fit so perfect in the new place, I am planning to buy. I am so excited about it and I will definitely use ideas shared in the article. Wonder what the author thinks about LED lights usage at home. Should I actually consider this? Looking at wonderful options online at http://www.interior-deluxe.com/led-ceiling-lights-c1030.html , think they would fit in well. Any suggestions?